The Prime Minister has wished those celebrating Easter all over Britain and the world a happy Easter. 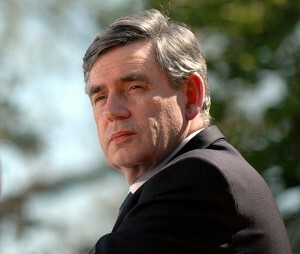 Gordon Brown said how “incredibly grateful” he was to Christian churches for all that they do. The PM said this year was a particular reason to celebrate, as 2010 will see the first official visit of His Holiness the Pope to Britain. “Easter is the most important date in the Christian calendar, because it is when we reflect on the life, death and resurrection of Jesus. Christians all over Britain and the world will be celebrating in their homes and churches and thinking about the redeeming power of faith. This year we have particular reason to celebrate, as 2010 will see the first official visit of His Holiness the Pope to Britain and also the 5th anniversary of the Gleneagles G8 summit where Christians of every denomination were instrumental in the securing greater justice for the poor. The Christian churches are the conscience of our country, always ready to bear witness to the truth and to remind us of our responsibilities to what the Bible calls ‘the least of these’. I am incredibly grateful for all that you do to ensure our public square is more than a place of transaction and exchange and remains always, as it should be, a place of shared values and social justice.